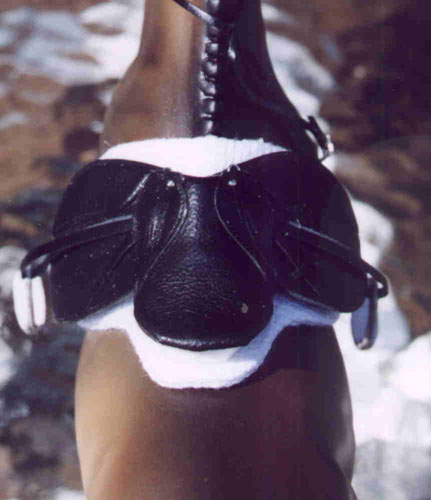 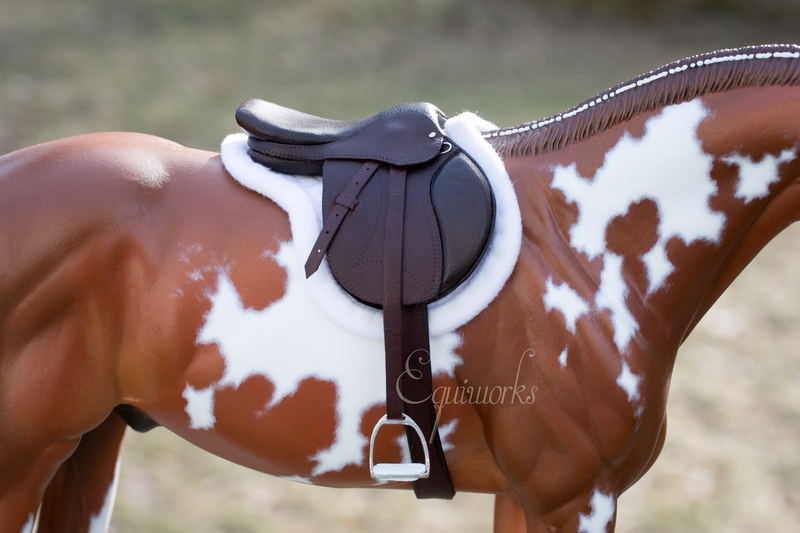 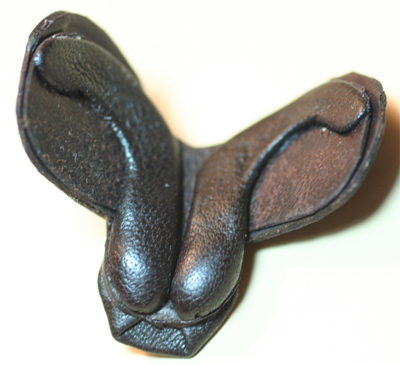 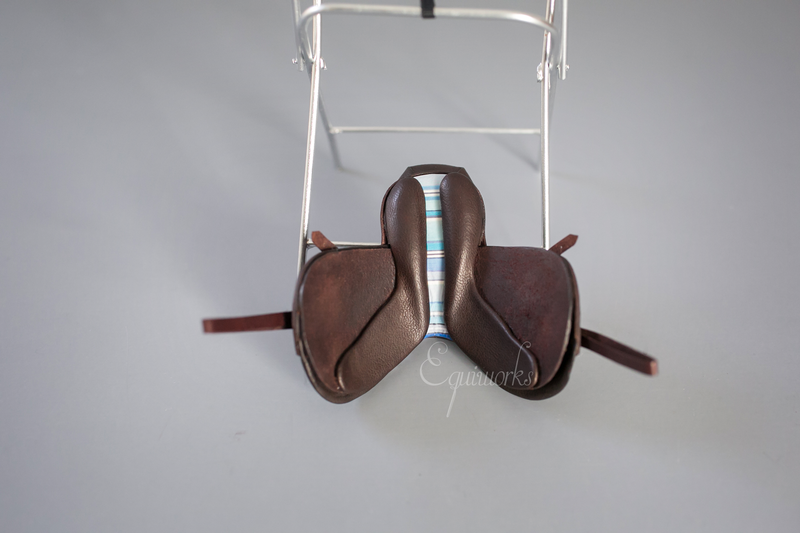 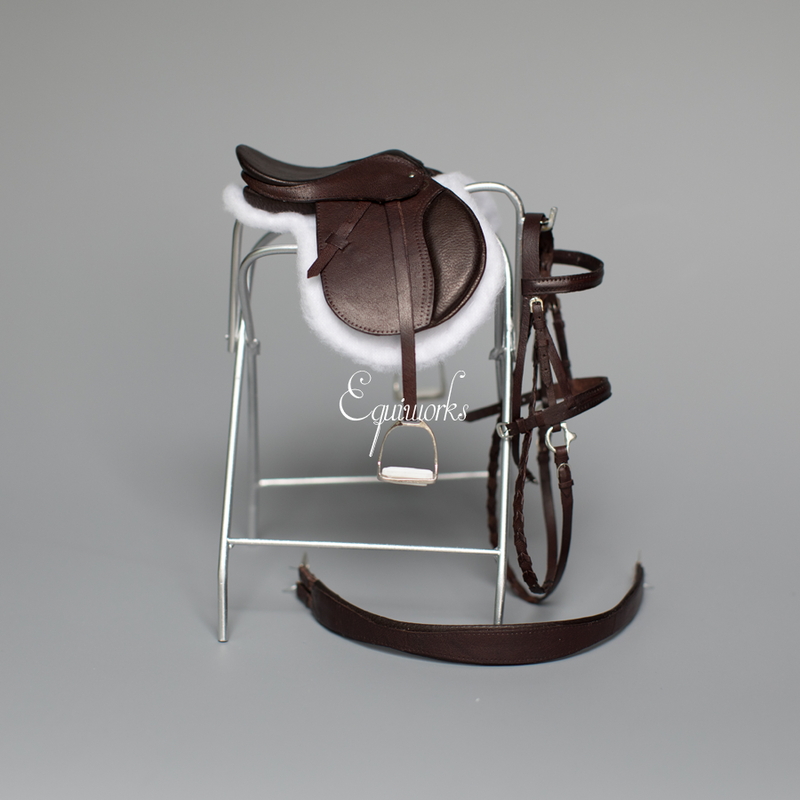 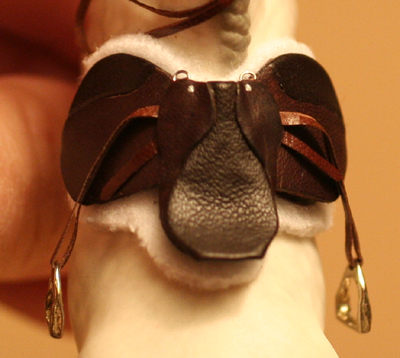 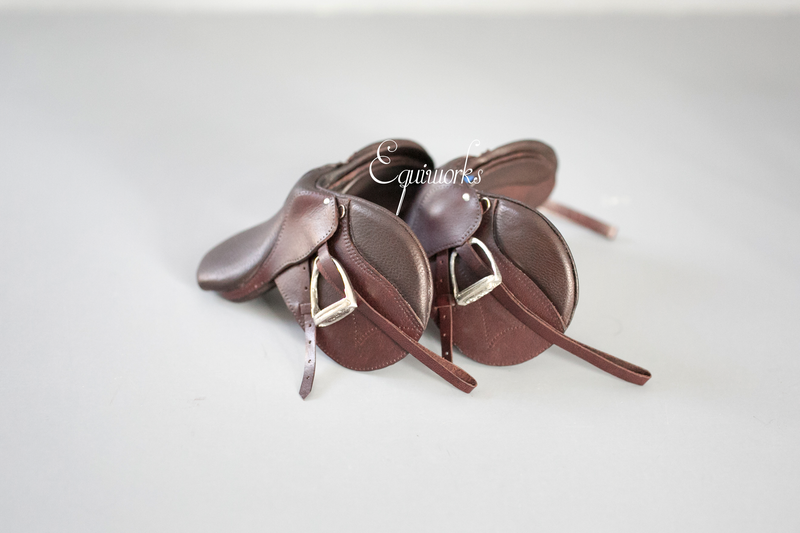 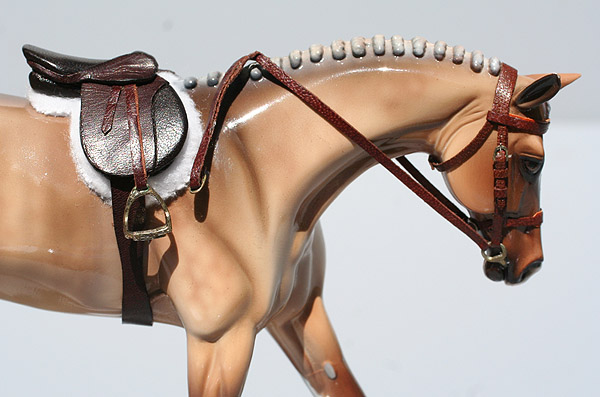 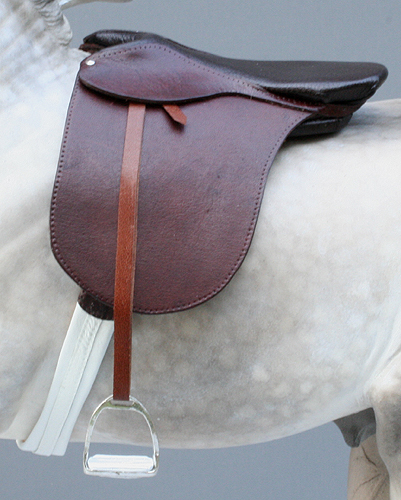 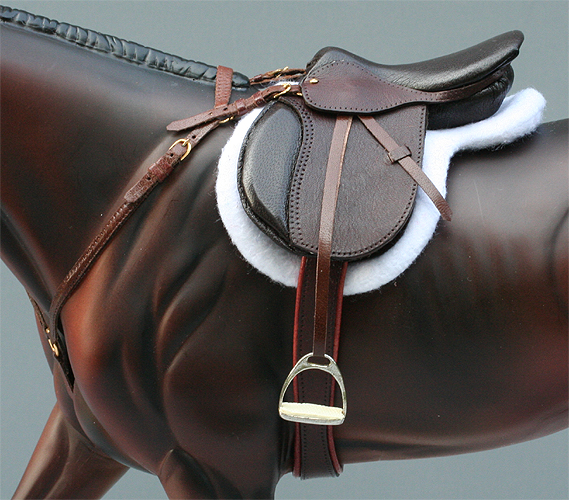 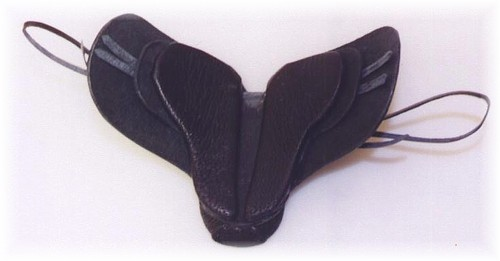 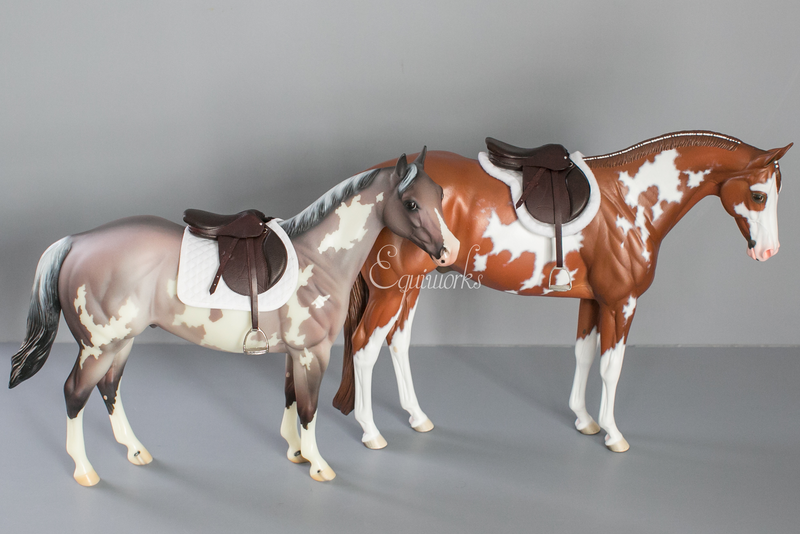 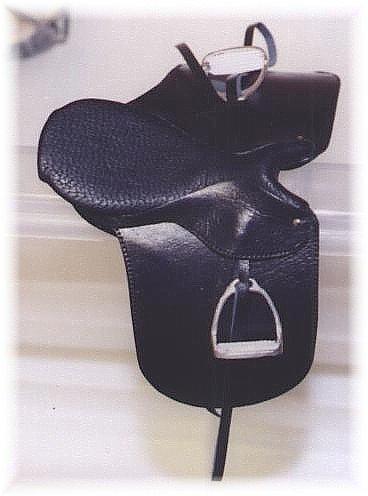 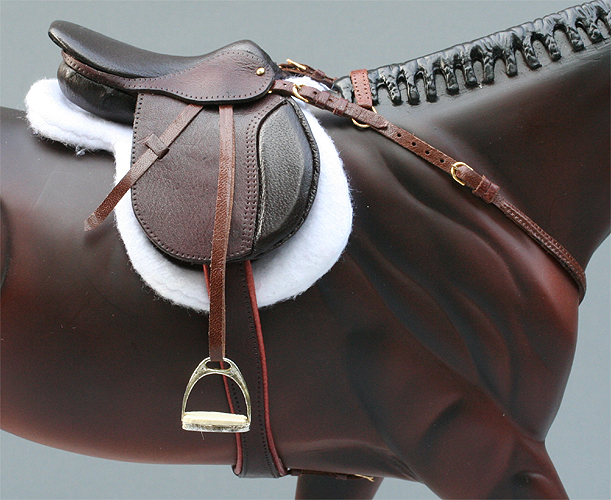 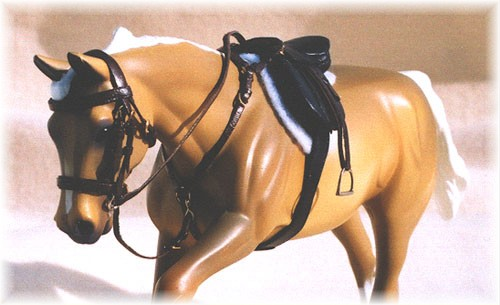 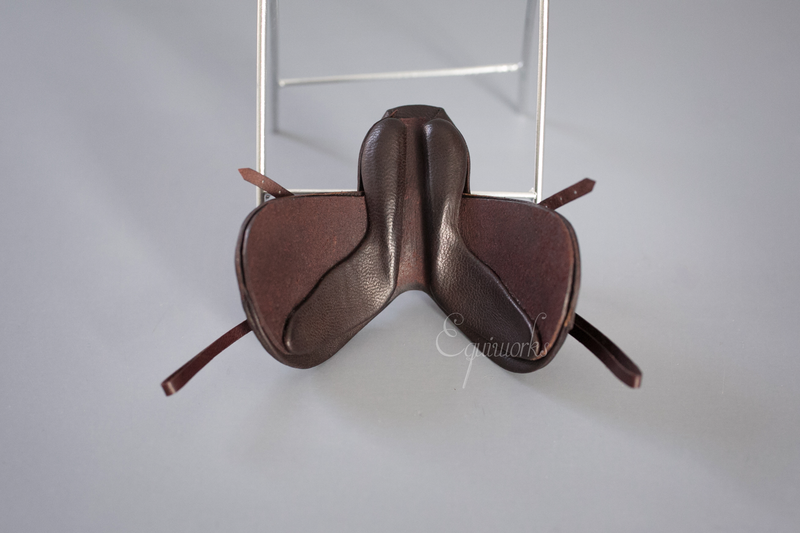 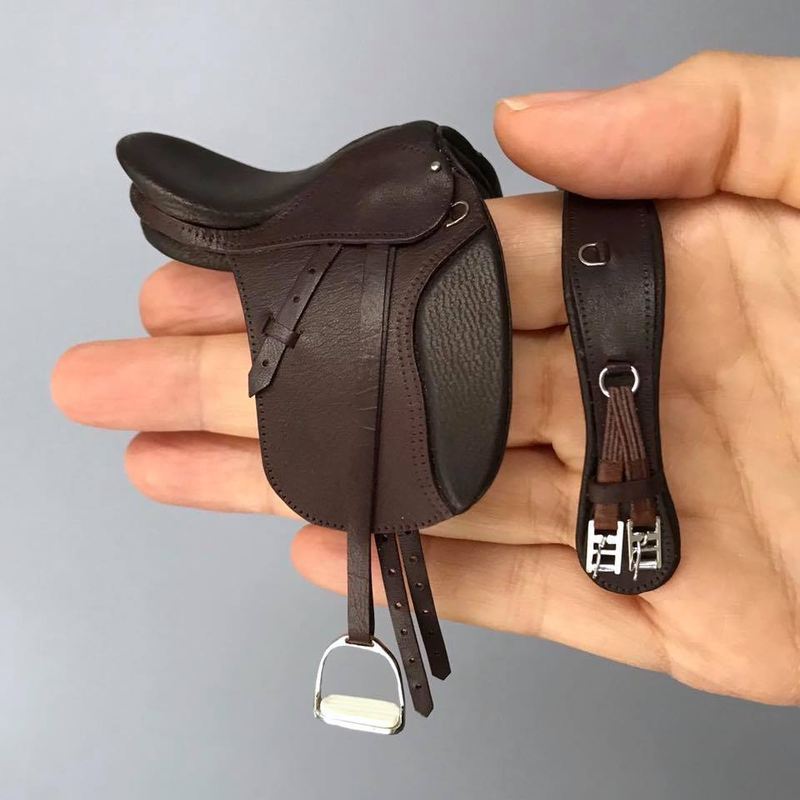 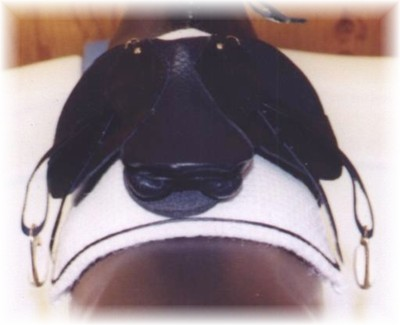 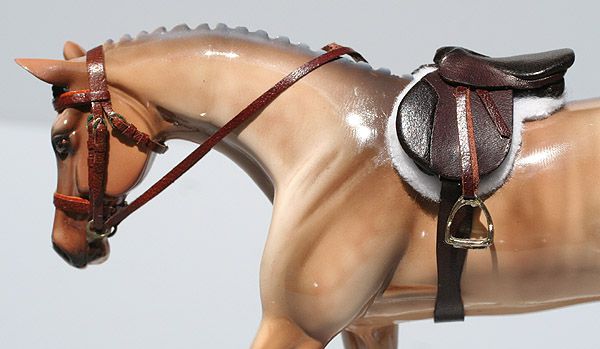 Dark brown saddleseat set comes with saddle, double bridle, and white girth. 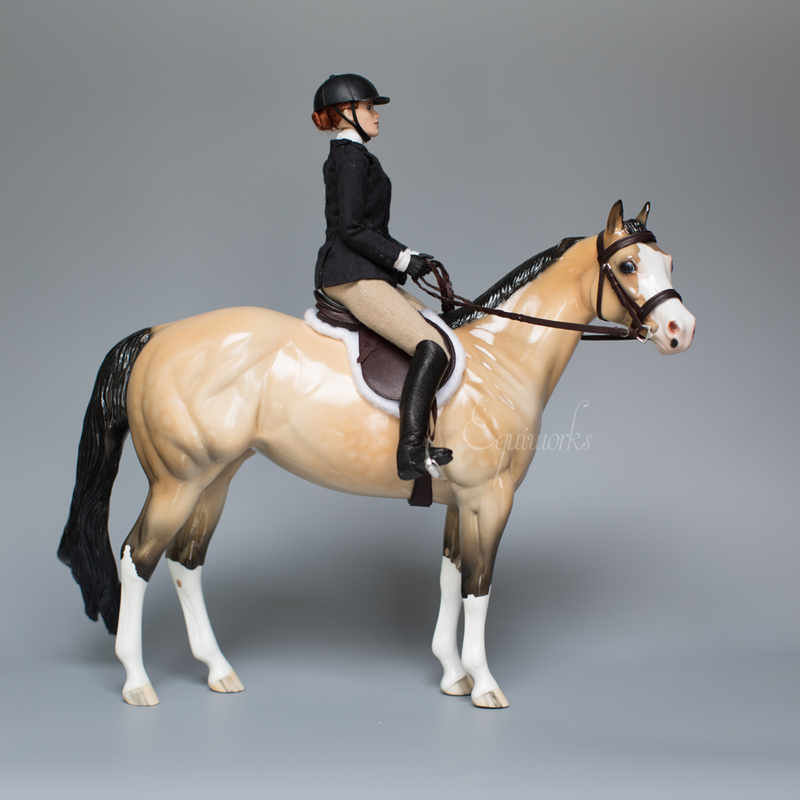 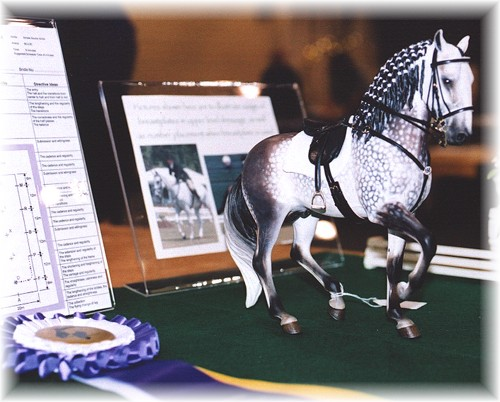 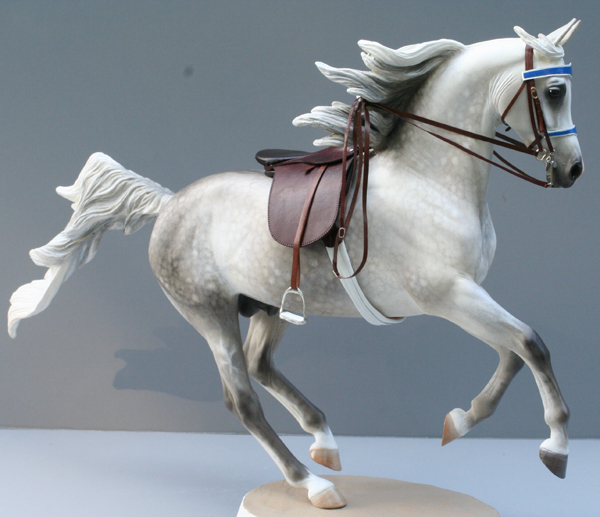 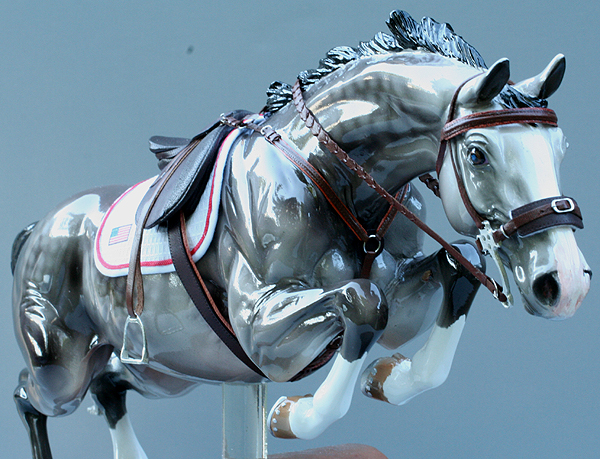 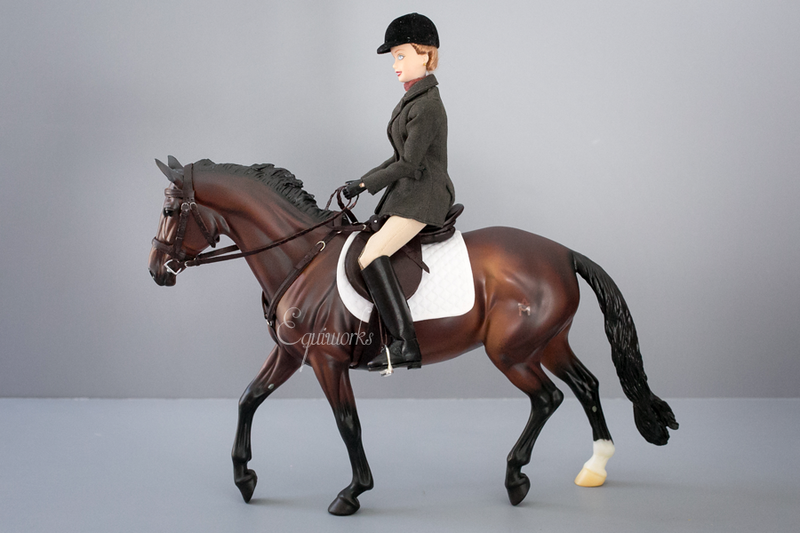 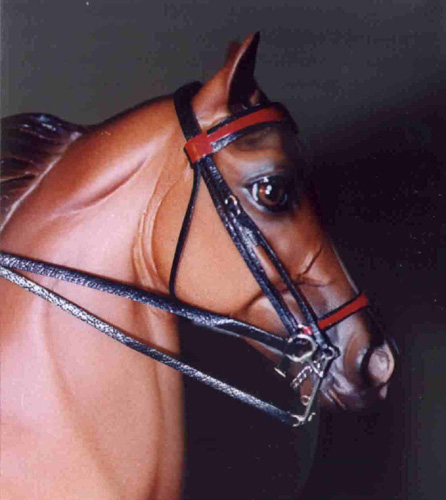 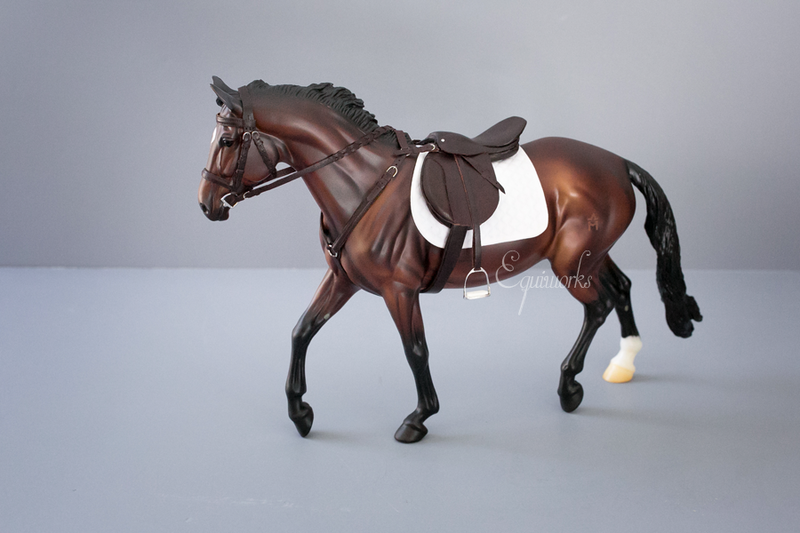 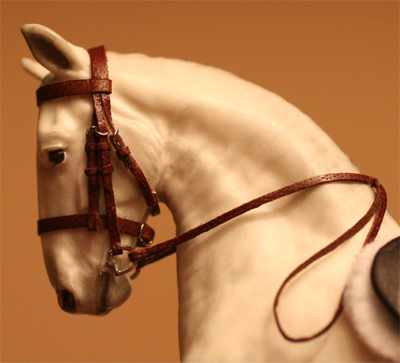 This set was made to fit the new Equine Collection OF jumper model, but should fit similar sized models. 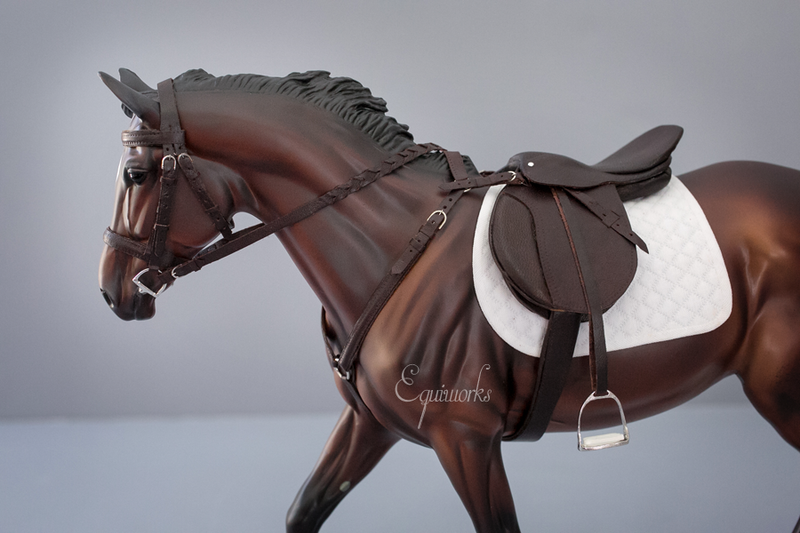 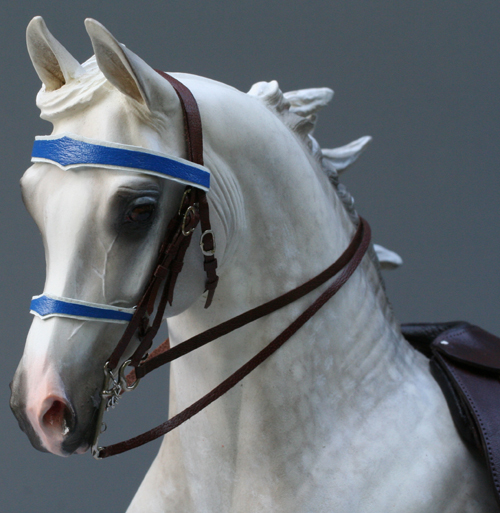 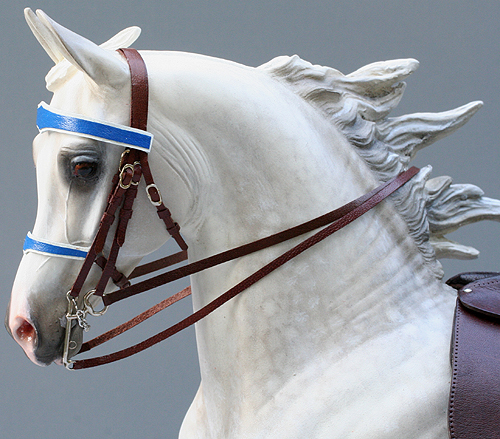 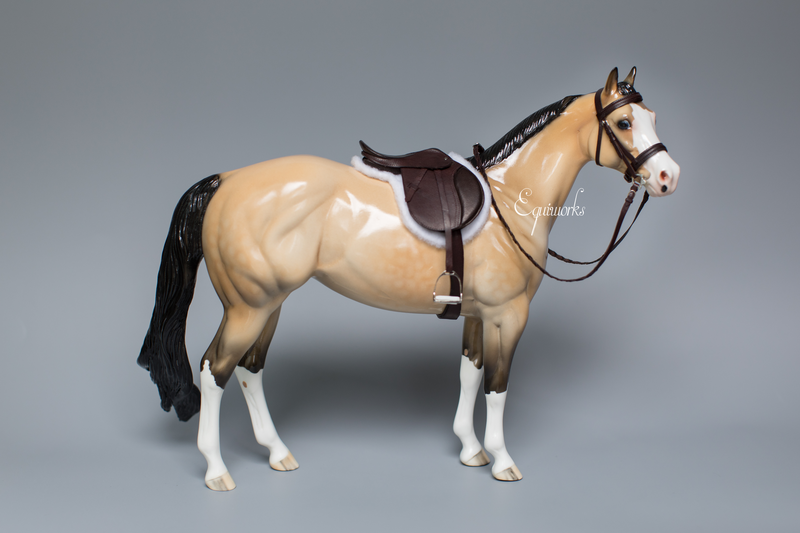 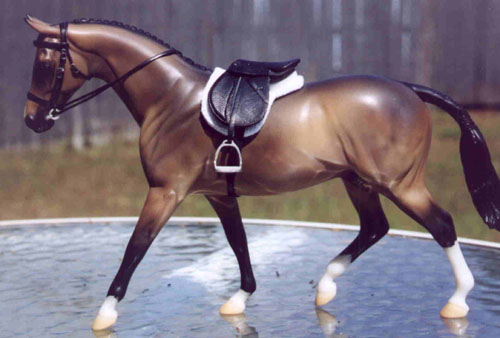 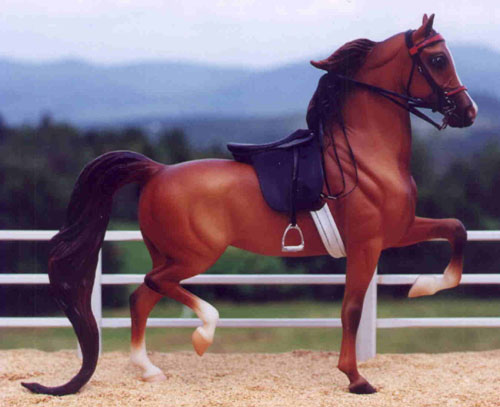 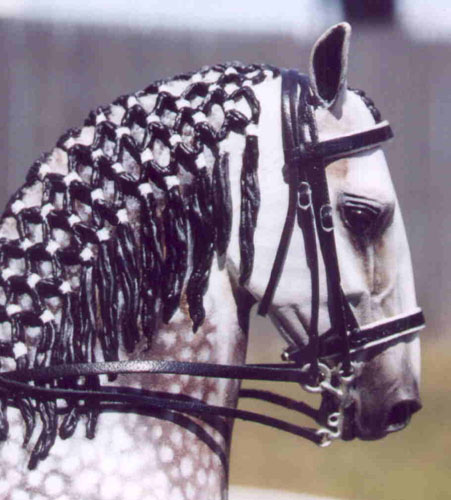 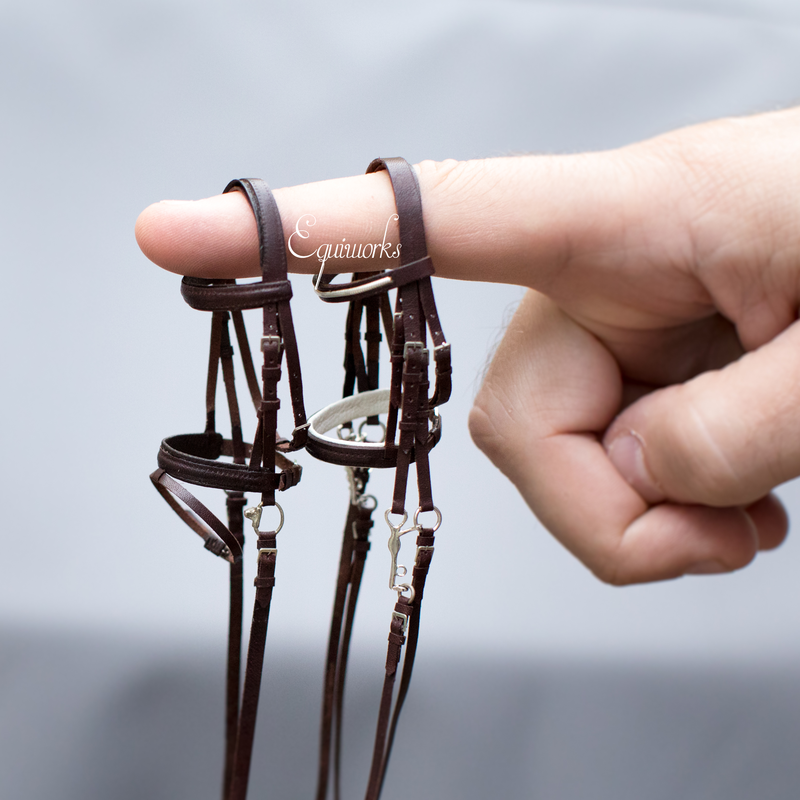 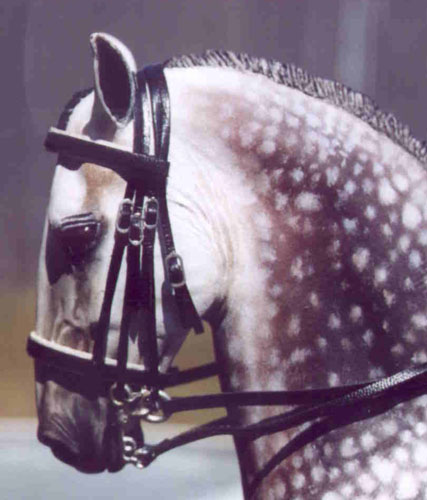 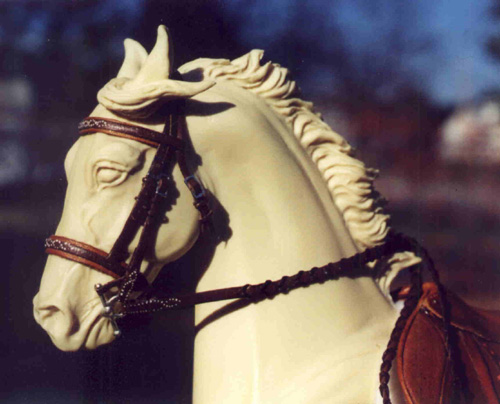 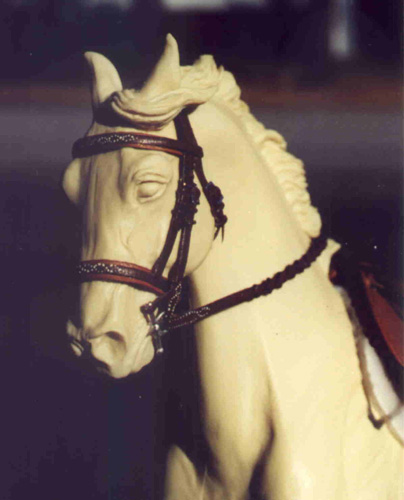 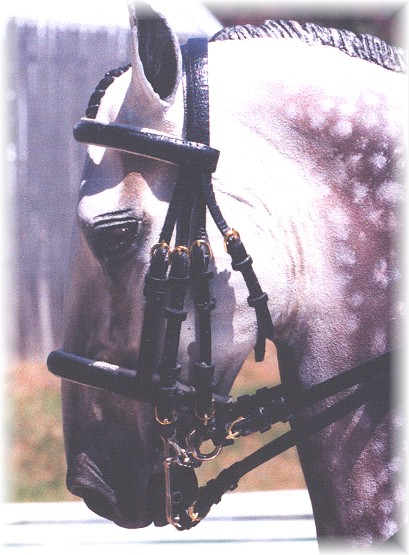 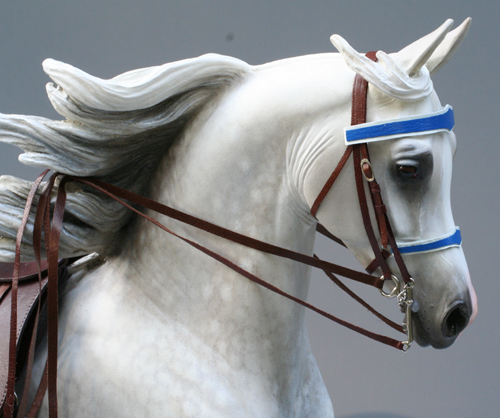 Comes with saddle, girth, square pad, english hackamore bridle with braided reins, and breastcollar. 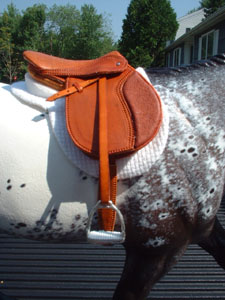 Pad made by Corinne Ensor. 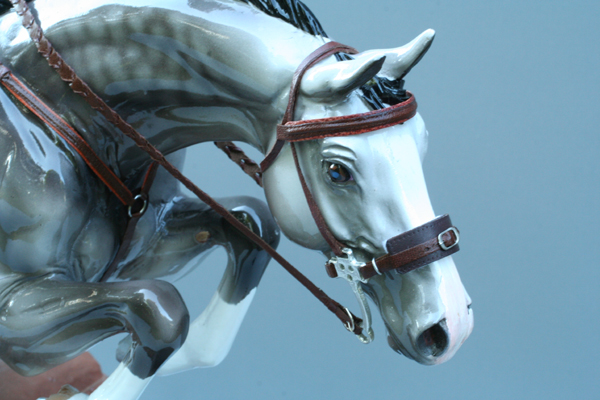 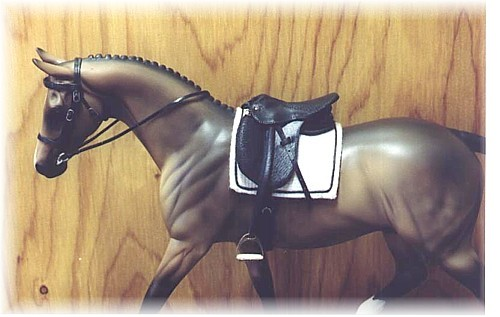 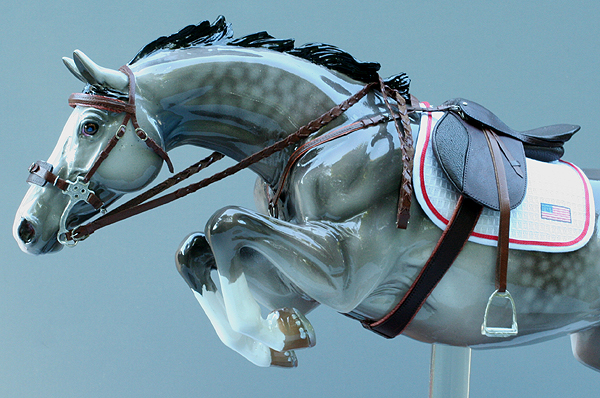 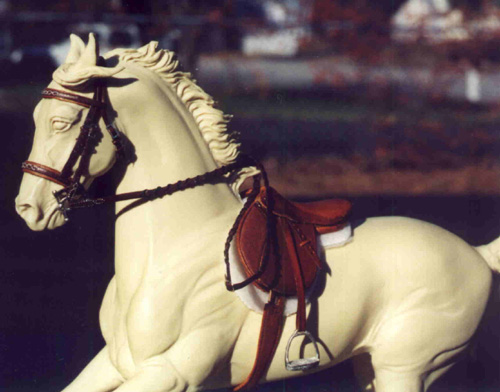 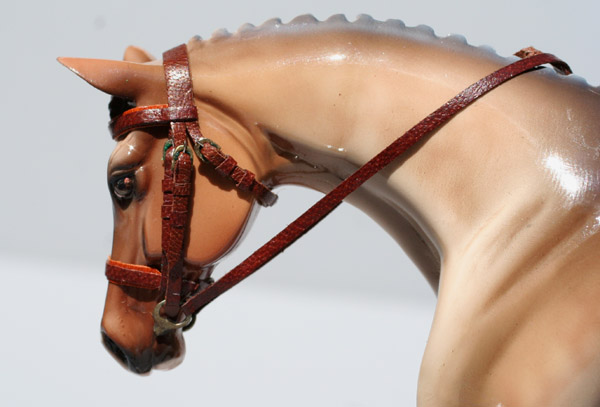 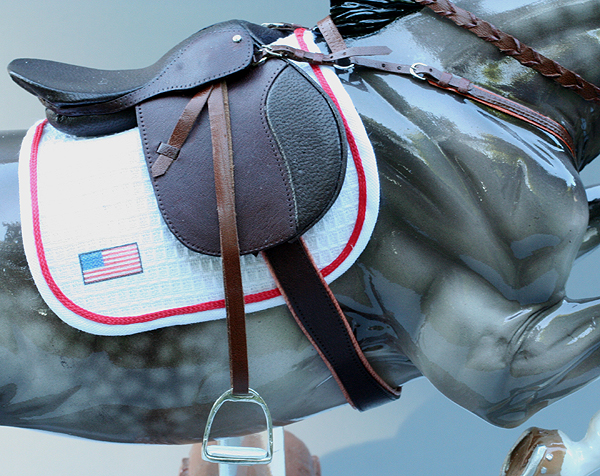 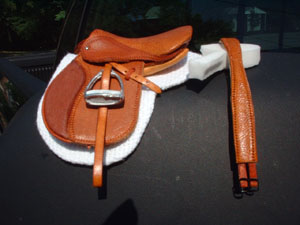 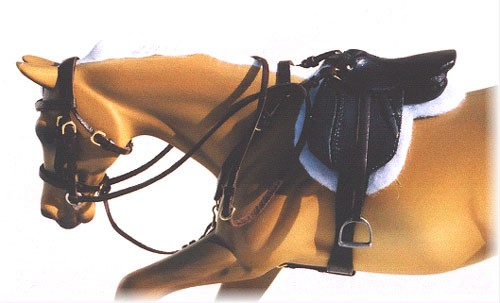 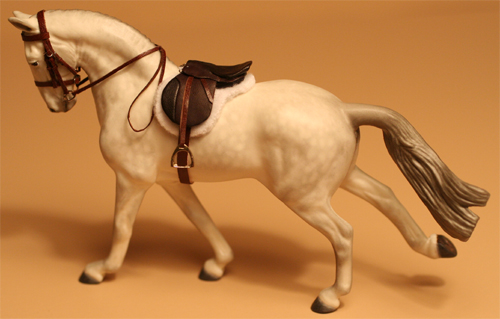 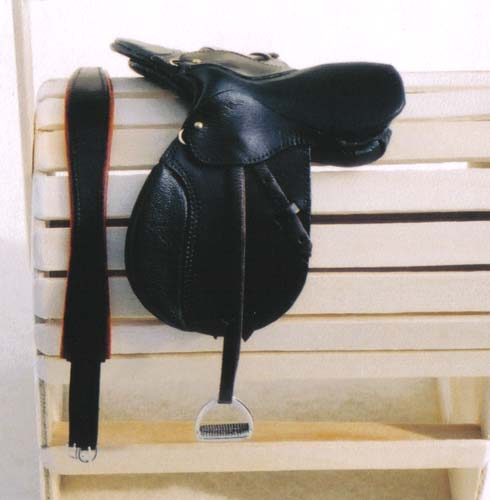 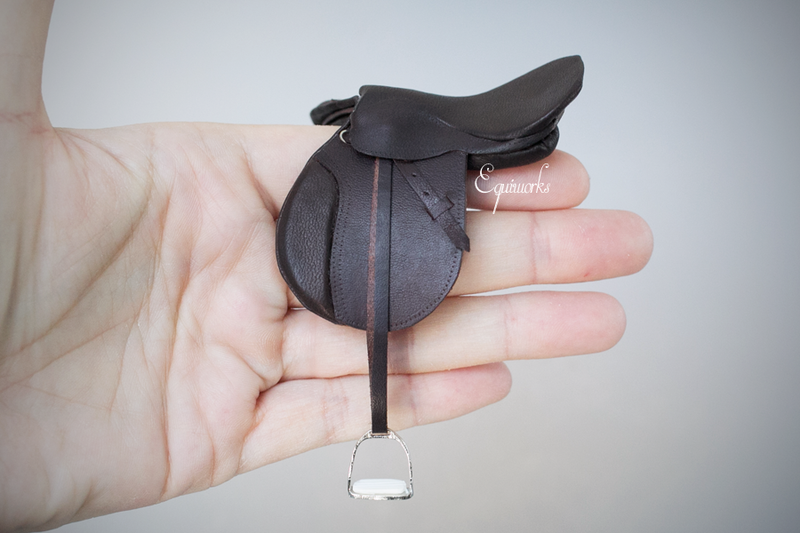 Fits the Stone Pony, or can be used as a child rider saddle on a regular traditional size model (like Strapless). 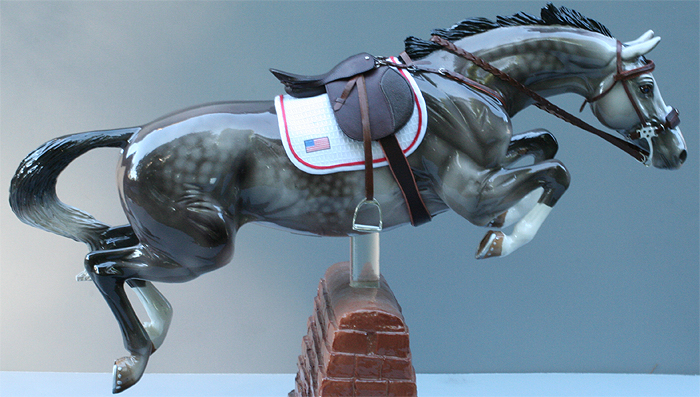 This set was made to fit the Morsel resin, and was donated to Smoky Mountain Spring Fling 2006.